Do mangoes share any history? The name ‘Mango’ is derived from the Tamil word ‘mangkay’ or ‘man-gay’. After settling in Western India, the Portuguese traders adopted the name as ‘manga’. 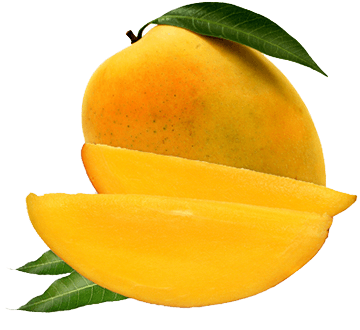 The English singular form ‘Mango’ comes from the Latin Mangifera Indica meaning mango bearing plant from India. In Hinduism, the perfectly ripe mango is seen in the hand of Lord Ganesha as a symbol of fulfillment. The Jain Goddess Ambika is also represented as sitting under a mango tree. As per Hindu texts, when a ripened mango falls from the tree, it turns into a beautiful princess. There are more stories and incidents across scriptures that depict the importance of the fruit across the history of our land. Many believe that Buddha actually chose the shade of a mango tree to meditate. The Mughal emperor Akbar is said to have planted a mango orchard having 100,000 trees in Darbhanga with the hope of having prosperity. Rabindranath Tagore was so fond of mangoes that few of his famous verses are dedicated to the fruit and its flowers, including the very famous aamer monjori. Legendary Urdu poet Mirza Asadullah Khan Ghalib was very attracted towards mangoes. There are funny anecdotes about how he despised people who didn’t share his addiction for the fruit. Mango seeds have travelled with humans from Asia to the Middle East, South America and East Africa in 300 A.D. Mangoes are popular not only in eastern countries, but western countries as well. In US and UK, the varieties of mangoes include Atkins, Haden, Kent etc. while in India the popular varieties include Alphonso, Chaunsa, Kesar etc.